Situated in the North Atlantic Ocean, in January 2015, organized under the auspices of the ITTF Development, an ITT/PTT Level One Coach Education Course followed by a Training Camp was staged in Bermuda. It was the first such Olympic Solidarity Course to be held in the island; now two years later, there has been a second first; from Monday 16th to Monday 23rd January, the island hosted a Junior Training Camp in Hamilton. 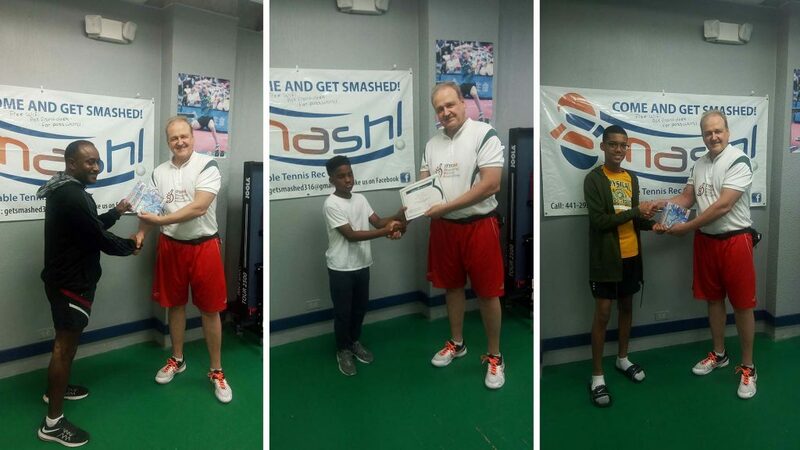 Again supported by the ITTF Development Programme, the initiative was administered in conjunction with the North American Table Tennis Union. Also, the same expert was on duty. Christian Lillieroos of the United States was the head coach. Venue for the proceedings was the Smash Table Tennis Club; the one full-time table tennis club in the island. The owner is Jaymo Durham, Vice President of the Bermuda Table Tennis Association. He started the club two and half years ago as a centre catering for the more serious and more lighthearted. Notably “Kid’s Cave” comprises five computer games stations; there are table tennis birthday parties, whilst corporate groups visit during lunch hours. Charges are made accordingly. 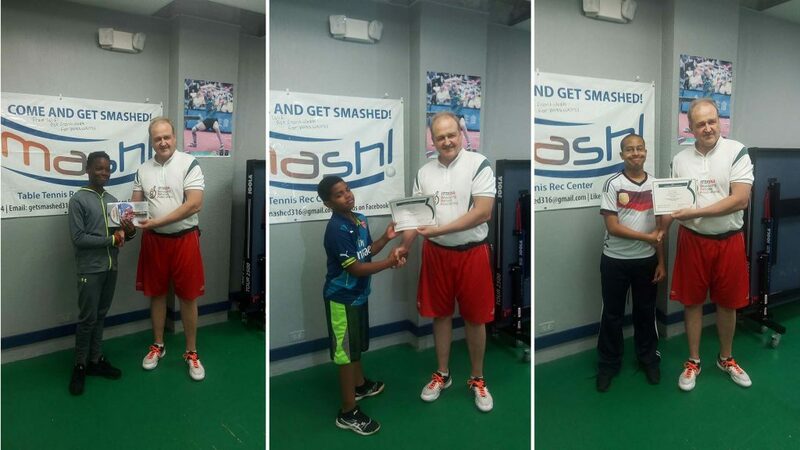 Overall, seven table tennis are available; assisted by Dwayne Hill, President of the Bermuda Table Tennis Association, each summer over 500 children attend training camps. Quite incredible numbers; for the training camp conducted by Christian Lillieroos, the numbers were somewhat less and more manageable. Some 15 young players attended with, in addition to Dwayne Hill and Jaymo Durham; local coaches, Myron Piper, Cory Berkley and Khalid Davis helped afforded assistance. A three hour session was held each day with Michael Spemcee, 10 years old and Jehziyh Rawlins, the top two junior players in the island, attracting the attention. Likewise, Marcus Durham, ever present, caught the eye. He received a diploma for effort and improvement. Impressive young players, now Bermuda looks to the future; the Association aims to stage an Olympic Solidarity supported Developing a National Sport Structure Course; meetings are being held with the Bermuda Olympic Association.